Ah, banana bread. The first cake I ever baked. In my teenage years, I was not a very accomplished cook but banana bread quickly became a favourite of mine. Of course, that version was laden with sugar, flour and margarine so I was very excited to create a new banana bread that was Specific Carbohydrate Diet (SCD)-legal. 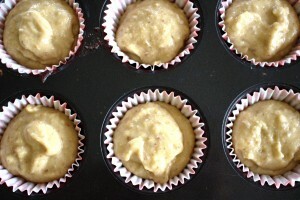 This recipe for banana bread muffins is inspired by one of my earliest recipes on this blog: my no-fail banana and ginger loaf. 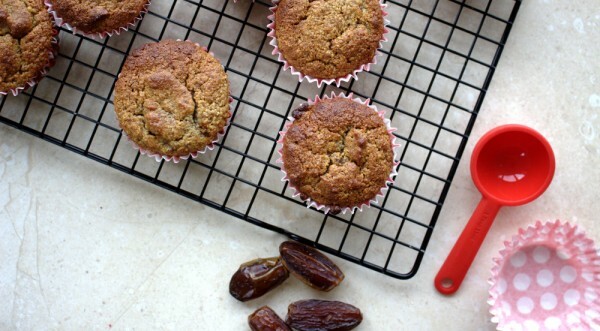 I tweaked this recipe a few times before arriving at what I hope you’ll agree is the best grain-free banana bread muffin recipe ever! The muffins are moist and full of flavour and lack nothing of “regular” muffins. I didn’t use any sweetener in these. Trust me, they are plenty sweet on their own. I allowed the fruit to naturally sweeten them for me. Although, I believe in the many healthy benefits that raw honey can provide I do keep my consumption as low as possible. Even unrefined sugar is still sugar after all. As in the majority of my recipes, I recommend soaking the dates for a minimum of thirty minutes before using. 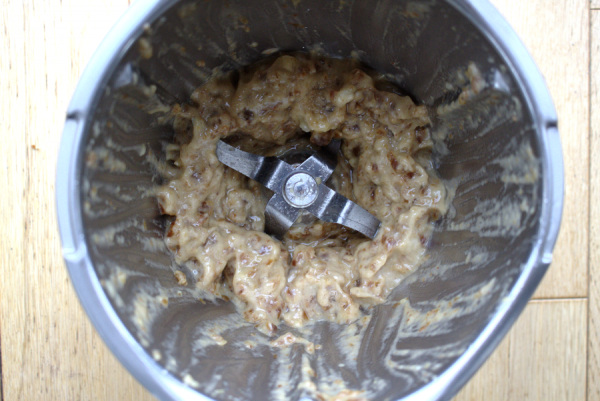 This helps them to break down better in the blender and leads to a smoother mixture. While we are on the topic of dates: Medjool are the best, organic the next best. Either way the most important is that they have nothing added. My general rule is to run a mile if I see the word “syrup” listed as an ingredient. My daughter Ciara and I made a big batch of these yesterday. Baking with my daughter on a rainy day is one of my favourite things to do. These banana bread muffins are so easy to make and they don’t take long either. All done in roughly 30 minutes so you can easily whip up a batch if you have friends coming over. No one will believe that they are actually good for you. 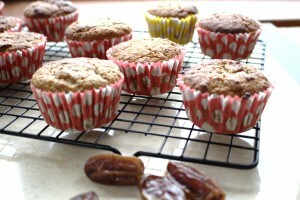 Delicious moist, naturally sweetened banana bread muffins. Gluten-free, Grain-free, Dairy-free, Refined sugar-free, Specific Carbohydrate Diet (SCD), Paleo. 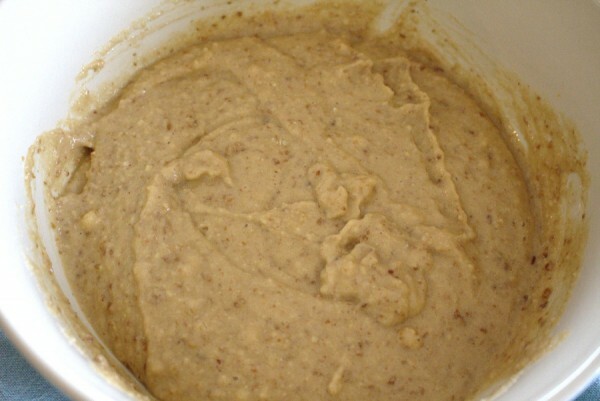 In a large bowl, mix all the dry ingredients: almond flour, salt and bicarb. 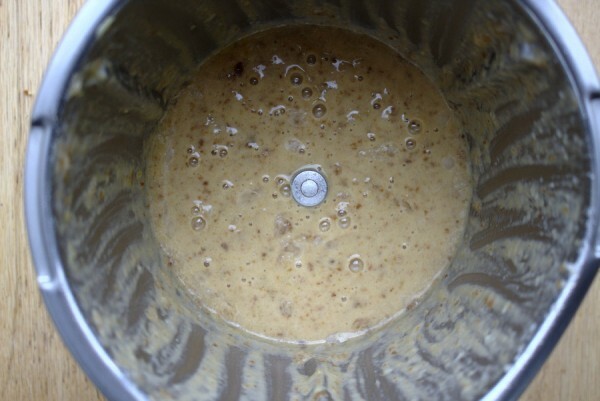 Drain the dates and blend in a blender until smooth. Next, add in the eggs, bananas and coconut oil and blend again until smooth. 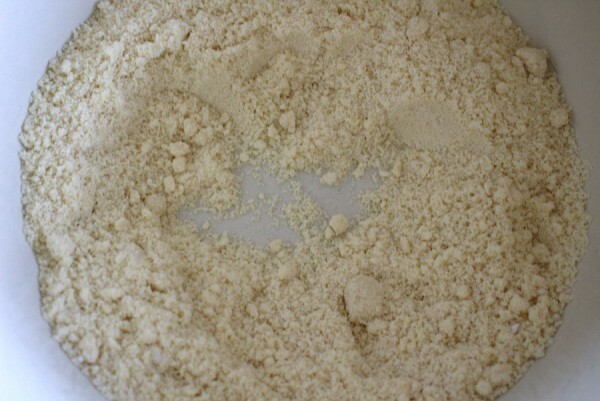 Making a well in the middle of the almond flour, add in the wet mixture. Stir through until the mixture is well combined. Spoon the mixture into baking cases in a baking tray. Alternatively, grease a muffin well with coconut oil and spoon in. Bake for 15-20 minutes until an inserted toothpick comes out clean. For best results, store these in the fridge. I’ve noticed you use a lot of coconut oil in your recipes. I’m reluctant to use it since it is mostly saturated fat (12 grams per tablespoon), do you have a recommendation for a substitute? Unsalted butter (melted) is a great substitute for coconut oil. I know that coconut oil is high in fat but as I would only eat one muffin or at most two in a day, I figure that’s not too much! Let me know how the butter works out if you try it!